UHD premiere with “Galileo Spezial: Booking a package vacation vs. doing it freestyle – what is the best last-minute vacation?”: On Sunday, July 22, 7:05 p.m., ProSieben’s knowledge magazine can be seen in UHD for the first time. This year, more in-house productions will follow in ultra-high-resolution format – including the kabel eins format “Rosins Restaurants” and two SAT.1 movies. Viewers can receive “Galileo Spezial” in UHD on the channel UHD1 by HD+ via satellite in parallel with the broadcast in HD and SD – and the premiere is even unencrypted. ProSiebenSat.1’s UHD content not only has a resolution that is four times higher than that of HD but also achieves unique brilliance by using the HDR process Hybrid Log-Gamma (HLG) and a significantly expanded color spectrum. 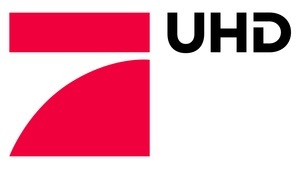 In addition to the broadcast on UHD1, UHD content can also be accessed via the digital services from ProSiebenSat.1. Following its first-run, the program will be available for a limited time via the ProSieben app and on prosieben.de as of Monday. In the coming months, ProSiebenSat.1 will broadcast other formats in UHD. For example, two SAT.1 “Tuesday movies” will be among the content to follow: “Amokspiel,” based on Sebastian Fitzek’s bestselling novel about the criminal psychologist Ira Samin (Franziska Weisz), and “Hilfe, meine Mutter bekommt mein Kind!” (working title) with Andrea Sawatzki, both of which will be produced and broadcast in UHD.